On March 23rd, 2013, Salvatore Cambria believed he was throwing away a worthless Powerball ticket. Unfortunately, that ticket turned out to be one of the $1 million winners. Cambria, from Suffern, New York, purchased three Powerball tickets with Erick Onyango at a 7-11 station near Mahwah, New Jersey. After the $338 million Powerball draw took place, the friends spoke on the phone to confirm they had not won. However, now the two have filed suit against the New Jersey Lottery Commission stating that they did not update their website after the draw. They claim that if the website had been updated in a timely fashion, they would never have thrown away the ticket. Onyango says that he checked the number on his iPhone and the dates were very small. 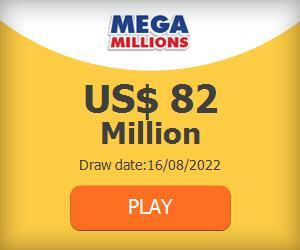 The winning numbers for the previous draw were listed so they believed they did not win. Now the men are suing the New Jersey Lottery Commission for the amount of the Powerball ticket – $1 million. The men matched all 5 regular numbers but did not match the Powerball number. The suit was filed in Trenton, New Jersey. The men claim that the winning ticket was the 2nd ticket purchased out of the three which all have successive serial numbers. Onyango kept the other tickets as proof that they purchased the winning ticket. Cambria stated that the lottery commission officials told him that if he could bring the tickets that were purchased after and before the winning ticket, he would be able to claim the prize. The lottery commission has not yet ruled against this claim but Cambria said that the decision was taking longer than expected so he decided to hire an attorney just in case. Cambria says that everyone knows he won including the commission and the owner of the 7-11 so he is not worried about providing proof. The lawyer for the two men, Edward Logan said that this was an unusual case. Logan says it is like they have the bread for a sandwich but they do not have the meat. However, Logan is confident that they have sufficient proof that they purchased the ticket. In addition to the $1 million Powerball prize, the men are also suing for the costs and fees of their attorney. The 7-11 owner Bob Patel says that the winning lottery ticket was a big story at his store and it was the first big win since the station opened in 2010. Patel goes on to say that he will be happy when the men get their prize. Cambria is a regular customer at the shop and if he receives the winnings, the 7-11 will get a payment from the lottery commission for selling the winning ticket. Judith Drucker who is a spokesperson for the New Jersey Lottery Commission said they would give the shop $500 but she failed to comment on the pending litigation.